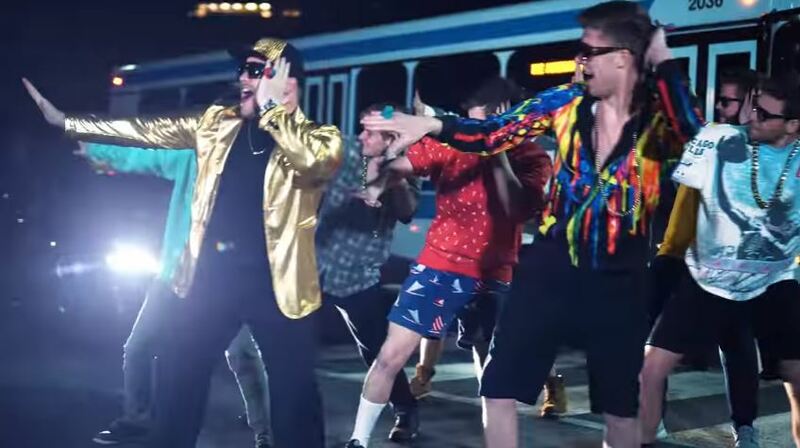 We've been noticing lately that a cappella music videos are transitioning away from standard cookie-cutter projects into full-blown, Superbowl-worthy productions. It makes sense now that videos are at the center of today's entertainment scene, and a cappella is doing their part by getting onboard. One group who has this figured out is The Madison Project from James Madison University. In their new video of their CARA-nominated track "24K Magic" by Bruno Mars, the visuals are just as worthwhile as the audio. The concept is fun, the camera work is exhilarating, and the project gets, even more praise for the surprise fact that it's mostly recorded around campus. The video is perfectly in sync with the feel of the music, which can often be a challenge. But in this case, the group does a terrific job of becoming the life of the party. This is feel good Friday music right here!